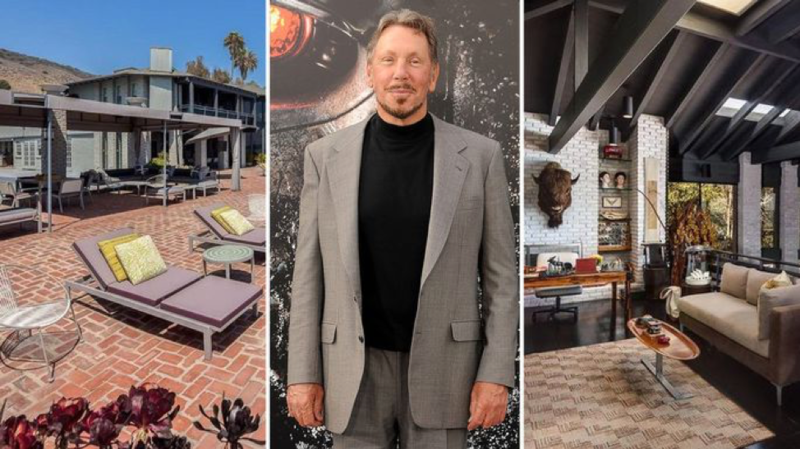 Malibu real estate is desirable, but few people seem to desire it – or buy it up – quite the way Larry Ellison does. Recently, this co-founder and chief technology officer of the computer company Oracle, made his Malibu property holdings an even dozen with the purchase of a $38 million Malibu beach house. Boasting 7 bedrooms and 8 baths, the home also features a shaded courtyard to enjoy the California sun, waterfront views, and beautiful dining room with a plush wet bar and skylights. The sprawling 5,900 sq. foot estate also includes a tennis court, earning the distinction of being the only home on Carbon Beach to have an ocean-front court. Ellison bought the home from movie producer Joel Silver known for both the Lethal Weapon and Matrix series. Silver, who listed it for $52 million and took 25% less on the final sale price, still made an impressive profit over the $14 million and change he paid for it a decade and a half ago. Ellison, who bought his first Carbon Beach home in 2002, has purchased 11 more since then, averaging about a year and four months between each. At this rate, the real estate mogul is likely to make it a baker’s dozen soon. Larry purchased this most recent home with the representation of Judy Feder and Kurt Rappaport.